It's as inevitable as the leaves falling off the trees. As soon as the calendar turns to November 1 the argument begins. 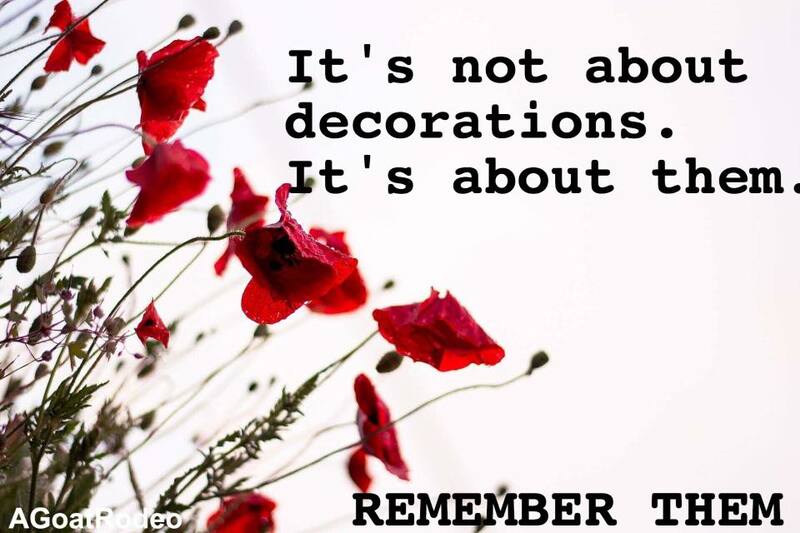 And neighbours will start telling their neighbours that they shouldn't decorate for Christmas before Remembrance Day because it's disrespectful to our Veterans. 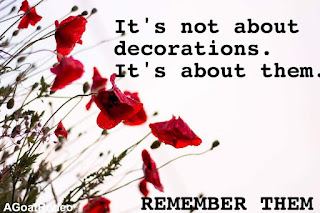 And soon my Facebook feed will be filled with more vitriol about decorations than it will be about the people we should be remembering. I honestly don't remember when this became a thing. And I certainly don't understand why it became a thing. Because one has nothing to do with the other. People who decorate for Christmas before November 11 don't do so to be disrespectful. And we should never assume they are. As a military widow (and mother) I don't care when anyone puts up Christmas lights. I care if they wear a Poppy and donate to the Poppy Fund. I care that they take the time to stop and Remember my husband and all the others who have given their lives and all those who still serve. "Wasn't that the point of it all anyway? So we could live in a country where people could put their damn lights up whenever they choose." Because it's not about the decorations. Or lights or Christmas music or peppermint flavoured coffee. They are what really matters.